In a quiet English town, a young architect is shot to death in his office. Shortly after that, far away on the Lincolnshire coast, a man is found murdered on the beach. The police don’t know it yet, but the two crimes are linked. Meanwhile, a wealthy mother is concerned about possible threats to the lives of her adopted children – but the police don’t take her seriously. When the two children are kidnapped from their school, though, Detective Chief Inspector Craig Gillard is forced to investigate – having no idea that the kidnapping is tied to the murders. He will discover the common thread before long – Albanian origins. And he will see things that shock him to his core when he follows the trail to the wilds of Albania itself. I discovered when I bought The Body On the Shore, second in a series, that I had bought the first book already. I must have set it aside for some reason. I persisted with this one, and was rewarded with a pretty good read. Though not a world-beater, in my view. I have read other books by Nick Louth, and one thing I enjoyed about them was their occasional flouting of political correctness. I take it Louth has turned over a new leaf with this more recent series, as the social consciousness lessons are there (though I’ll admit they’re subtle). The excursion to Albania was calculated to shake any reader. I can’t say the events there were exaggerated, but I found the action a little unbelievable. That’s how thrillers tend to be, though. I really prefer mysteries, but the genres are blending these days. 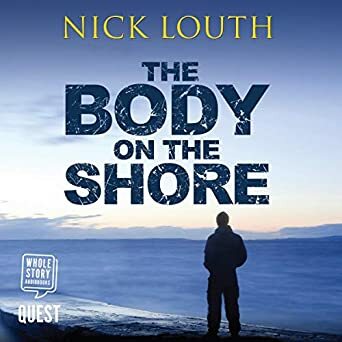 The Body On the Shore is well-written, with an engaging hero. Recommended if you like this kind of thing. Cautions for language and mature situations, including one real shock. I gather that scene or anything like it actually happened, which is one reason the Tolkien estate said they would not support or endorse the movie and did not authorize or participate in its production. Archaeologists in Vestfold county, Norway, recently discovered what they’re pretty sure is a Viking Age ship burial. A burial site featuring what seems to be a complete viking ship has been discovered in the Vestfold county in Norway. Many spectacular finds have been unearthed in the region over the years, including the famous Oseberg and Gokstad ships now housed in Oslo’s Viking Ship Museum. The latest discovery of the grave in Borreparken was announced at a press conference in the Midgard Viking Center in Horten. “The data clearly shows the shape of a ship, and we can see weak traces of a circular depression around the vessel. 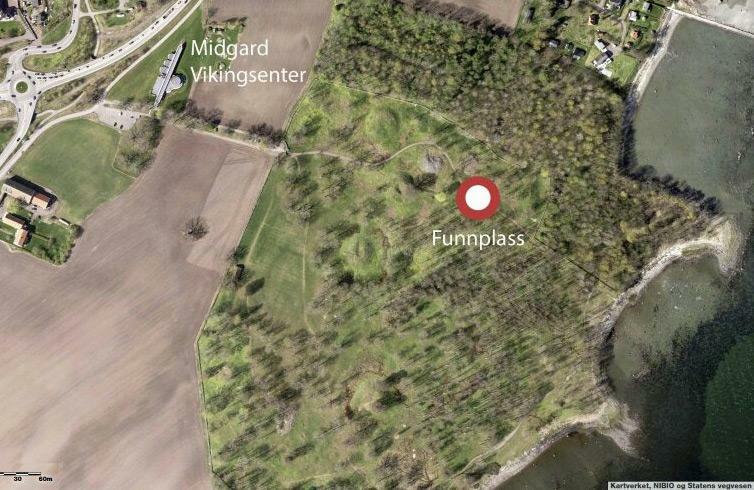 This could point to the existence of a mound that was later removed,” said a spokesperson for cultural heritage in Vestfold county. Researchers will now carry out detailed investigations to assess the size of the find. It’s interesting that the article says nothing about any plans to actually excavate the ship. All the work so far has been done by georadar. That’s cool – it’s definitely a conservative (conservative is always good) way to prevent damage to the site. But it seems to me they’ll want to actually look at possible grave goods at some point. Don’t expect to see the ship resurrected like the ones in the museum in Oslo. Those were very special cases, where the vessels were buried in anaerobic (I think that’s the right word) blue clay, which prevented rotting of the wood. Most Viking ships found in modern times are pretty much decomposed, and you recognize them from the way the iron rivets are distributed in the earth. Vestfold has always been an important part of Norway – it has good agricultural land and it’s close to the shipping lanes. The king of Denmark generally considered himself the rightful ruler of Vestfold (and often of Norway as a whole) in Viking times. Cultural development and foreign influences were both rich in Vestland. I hope they dig it up in time. I’m not like Native Americans; it doesn’t offend me if somebody excavates my ancestors’ graves. Especially if they find cool stuff. In case you’ve ever wondered about Erling Skjalgsson’s grave, it’s never been identified. A history of Sola which I read related a local legend: During a period of hard times, when erosion had stripped much of the topsoil in the area, the farmer at Sola decided to dig up an ancient mound on his property, and distribute the dirt in his fields. Rumor said that he came into sudden wealth at that time. Some suspected he’d found a rich Viking grave, and sold off its treasures. However, if the story’s true – which is questionable in itself (we had a not dissimilar legend about the farm where I grew up in Minnesota, and it was also dubious) – there’s no reason the grave would have been Erling’s. As a Christian he would have been buried in the churchyard, not in a mound, and with minimal or no grave goods. It would be more likely to be his father, Thorolf Skjalg’s – or that of any of a number of other powerful ancestors. When I spend substantial time with a book, and then throw it aside in frustration, half-finished, I don’t like to name the work or its author publicly. After all, I haven’t given either of them the full time they asked for. But I sometimes want to tell you about it, anyway, in case it might be of some use – especially if you’re a writer. So it is with the book I 86’d over the Easter weekend. It shall remain nameless. It shall not go unchastened. It was promoted as a sort of Wodehousian comedy, and I guess it was. In a way. It was generally lacking in actual funny lines, but the author did a fairly good job of building up ridiculous situations, so that I sometimes chuckled over the altitude of the gag, if I can put it that way. But he offended me – as a Scarlet Letter puritan – by treating it as a matter of course that a couple will fall into bed the very evening they fall in love. It got worse when I learned that the (admittedly charming) main female character had been married before to a man who adored her and was faithful, but had dumped him because she wanted more excitement in her life. That ain’t funny, in my world. And then, about halfway through the book, the hero made a stupid, stupid decision. A decision calculated to bring him trouble and put him on the run from the law. And I couldn’t for the life of me figure out why he’d ever do the stupid thing. It was illogical and imprudent. Worse than that, it was out of character. In other words, it looked as if the author had forced the decision on him against his will, simply to keep the plot going. If he’d done anything that made sense, the story would have been over. And happily. My righteous writer’s fury blazed up against this author, and I cast his book into the outer darkness of Kindle limbo. Go and do thou differently, O writer. Dwight Longenecker talks about a remarkably good theater group based in an unlikely university that has produced some marvelous Narnia plays. This is because plenty of religious people have as their true foundation materialistic/secularism and plenty of non-religious people instinctively believe in the reality of the supernatural. . . . I am speaking of the modernists who wear ecclesiastical costumes and spout religious and liturgical language, but whose worldview is materialistic and regard religion as no more than an extension of their preferred ideology or political party but with the sugar icing of religiosity. The secular materialist (both the religious and the non religious variety) are the most vigilant of watchful dragons, for they breathe withering fire on any sign of the supernatural. When contemplating these dragons, I realize I have more in common with the follower of any other religion that is rooted in a supernatural worldview than I do with many of my fellow Catholics. 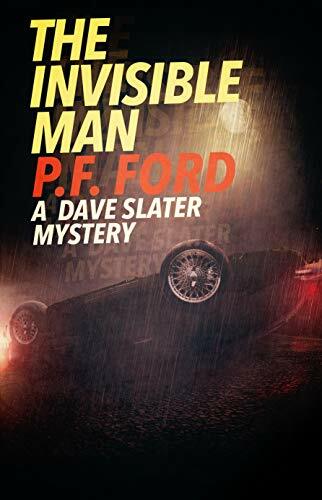 Number 14 in the ongoing Dave Slater mystery series by P. F. Ford is The Invisible Man. Our two heroes, former police detectives Dave Slater and Norman Norman of Tinton, England, are contemplating the collapse of their private detective enterprise. Lack of clients is the problem. Then, just as they’re preparing to shut down, a woman comes to see them. Lizzie Becker says that her 14-year-old daughter Lily died in a car crash two years before. The police say the girl had stolen the car, but Lizzie won’t believe it. In any case, she has just received a text message from her daughter’s phone. The phone has not been seen since the accident. She knows her daughter is dead. But what kind of monster would send her a message like that, to open old wounds? Dave and Norman take the case. An examination of the accident site leads them to a strange homeless man, one who claims to be a war veteran with PTSD, who claims to have seen the aftermath of the accident. Interrogation of the girl’s other family members, and of the family that owned the stolen car, leads them to questions of business fraud, adulteries, and possible child abuse. There are dark secrets here, and deep hatreds, and a ruthless plan for vengeance. As I’ve said before, I don’t rate the Dave Slater series extremely high as detective literature. The prose is less than masterful, and the plotting (I think) somewhat weak. I like the characters of Dave and Norman (that’s the main reason I keep coming back), but they seem to spend an awful lot of time just chatting back and forth. And the ending of this story was… kind of a letdown. But it’s another book in a pleasant series, and it was enjoyable. Minor cautions for fairly mild rough language and disturbing themes. 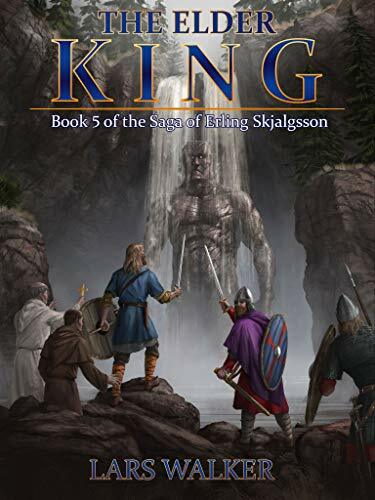 I clicked over to the Amazon listing for The Elder King today, and was delighted to see that I already have 6 reader reviews, all glowing. Thanks to everyone who took the trouble write a review. It does matter, and it is appreciated. It occurs to me that I could appeal to madness of crowds, and ask for promotional tips. What methods would you suggest for a writer with not too much money to draw attention to his work? We all know, of course, that the better the advice, the less likely I am to take it. Because really useful promotional techniques generally involve a degree of chest-puffing, arm-waving, and horn-tooting that’s simply beyond my capacity. But at least you can say you tried. Billy Collins mediates on silence in this short poem from Poetry magazine. In such a noisy world, this is almost an untranslatable concept, especially in its versatility. Peace, dread, waiting, strength. Here’s the second stanza. Below, my lecture at Union University, Jackson, TN — in case you’ve been longing to spend an hour with me. It opens with a short introduction by none other than Dr. Hunter Baker. I was a little disappointed that my PowerPoint slides are out of shot; on the other hand, I didn’t always synch them well (my remote clicker didn’t always get through for some reason). Probably best for me not to comment on the short portion I’ve personally viewed. I’m generally incapable of objective self-assessment. So judge for yourself. And then make it viral. He would have been able, yes; but reason resisted, justice did not give its permission: and these are more important to God than all power and might. . . . This then had to be kept in mind: compassion must not destroy justice, love must not destroy equity. For if He had finished off the Devil and rescued man from his jaws by His majesty and power, there would indeed have been power, but there would not have been justice. It’s a marvelous sermon, worthy of the week, and brought to us by Ben Wheaton, Ph.D., medieval studies, University of Toronto. Someone will have to ferret out these options to see which one is better. Enter our hero, Professor Prin, who specializes in seahorses in Canadian literature. Read Mattix’s review for better feel for the comedy what looks like good and proper skewering of some of our institutions. 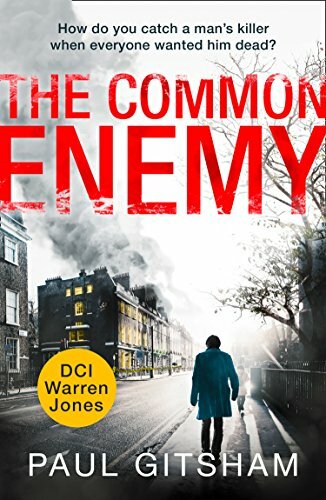 I’ve been going through Paul Gitsham’s DCI Warren Jones series, and frankly it’s getting harder to carry on. The books have always been a little dreary, but The Common Enemy is positively depressive. In the fictional town of Middlesbury where Jones is Chief Inspector, a “super-mosque” is scheduled to be built. There has been considerable push-back from white supremacist groups. On a night when a far-right party had scheduled a demonstration, police pulled protection away from an existing mosque to keep the peace at the parade. Someone then set fire to the mosque, and two people were left injured, close to death. On top of that, one of the leaders of the racist party leading the march was found stabbed to death in an alley. Inspector Jones and his team (and superiors) have to walk on eggshells as they try to untangle a snakes’ nest of hatred, fear, prejudice, and paranoia. If they can’t find who set the fire, minorities will accuse them of covering up for bigots. If they can’t solve the murder, far-right extremists will make the man a martyr. It all leads to a shocking climax. The book was well-written, but it had few rewards for me. I felt I’d fought my way through a lot of tension and unpleasantness, only to get a punch in the gut at the end. On top of that, although author Gitsham did a pretty good job treating all his characters – including the slimy racists – as human beings with individual stories, and indeed in spreading some of the guilt around, I noticed that one group came off as utterly innocent and entirely made up of victims. That was the Muslims. You can’t blame the author, I suppose. You’re pretty much not allowed to allow for any sin within Islam, in modern publishing. But I didn’t find the book very rewarding. He’d later learn that it was for show, that Ingrid had the same fears and insecurities that plague all of us, that part of the human condition is that all decent people think they are phonies and don’t belong at some point or another. The same but different. That’s what Harlan Coben’s novels tend to be. All based on themes of the strength of love, and the danger of secrets. But each one very much its own story. That goes also for his new novel, Run Away, which I liked very much. Simon Greene is a successful financial advisor. He becomes a YouTube sensation briefly, when he attacks a homeless man in New York’s Central Park. What all the people who liked and shared his video, commenting on how evil he was, didn’t know, was that he was trying to help his drug addict daughter, to save her from the homeless man, who had gotten her hooked in the first place. And Simon must go on alone to follow faint leads into a convoluted tangle of bizarre criminal conspiracies. Gradually he learns that his daughter’s plight is only peripheral to a much larger crime, and he will be placed on a lengthening list of people marked for murder, due to no fault of their own. I found Run Away pretty amazing. Not only does Coben trace the familiar ground of family love and loss, and parental sacrifice, but he also creates a pair of unforgettable villains – remorseless killers who happen to be deeply in love, and very sympathetic in their scenes together. That kind of ambivalence shakes me more than distilled evil ever could. And the final revelation of the story was a genuine shocker, one to keep you awake pondering. 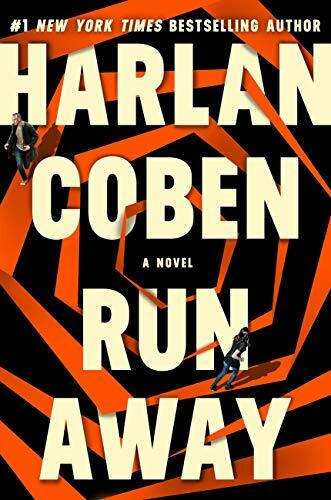 I thought the climax of Run Away a little far-fetched, but overall I consider it one of Coben’s best. Highly recommended. As usual with Coben, the profanity is minimal.